Must-Eat Food In Ipoh, Malaysia | JACQSOWHAT: Food. Travel. Lifestyle. Nothing beats than to indulge yourself w Malaysia's local delights & visit the relatives during the weekend. 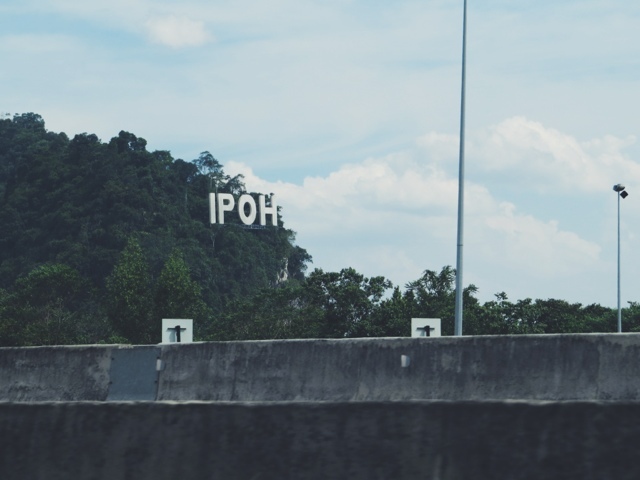 Ipoh is the capital of the state of Perak and is known for its cuisine. There're many iconic local food over there that we can't taste it here in Singapore. 1st Stop @ 6am - Ma Jie's Curry Noodle 妈姐咖喱! The traditional way of cooking curry noodles via. charcoal has been carried out from 3 generations since the 1960s till today. A delicious bowl of Curry Noodle at RM4.30. Worth! You can have Ma Jie's noodle in 3 choices - either Clear Soup, Curry (noodles fully immersed in curry) or Dry Curry (a bit of curry on top of your noodles). Freshly baked daily. And of course you can't miss these Hong Kong pastries at RM1.60! Life is at such a slow pace here and waking up to mountains surrounding is just breath-taking. Next stop, Wolley Food City, well known for it's variety of local food. The food court has been here for sometime and I remember always coming back here for their food since young! And their steamed pork bun, DaBao. One of Malaysia's best local delights. Penang Prawn Mee. The Penang style of Char Kway Teow is most famous. It's very different from Singapore's. We ordered Bee Hoon/ Mee - I preferred this, unlike the black sweet sauce that is commonly used in Singapore. Some of the must-order gourmet dishes are - Mee Java, Wanton Mee, Ipoh's Rojak (they use prawn crackers instead of fried fritters like what we have in Singapore) really good, I had numerous serving! It's really hot in Ipoh during the period I'm there. And Won Tau Long for dessert! Very blessed that we were being chauffeured around to all the well known eateries! Drive by a Soya Bean Curd store named, Funny Mountain. We ordered a bowl of piping hot bean curd & have it in the car, it's quite an experience cause we can never do this in Singapore. A plate of tender kampong chicken, crunchy bean sprouts and and a bowl of hor fun (dry/soup). That is all you need, to savour the authentic must-try Ipoh Bean Sprouts Chicken "Nga Choi Gai"! Very interesting, first time trying this - Curry Chee Chong Fan. The iconic dish that I've been looking forward to in Ipoh - Hakka Mee (客家面) Minced meat gravy usually complementing the Hakka Mee (egg noodles) and a bowl of Yong Tau Foo. Must eat! Supper at this hawker for their famous shaved ice store. (Sorry I don't have the address of this place.) So we ordered the well known Mix Fruit Kachang! The plan was to have Dim Sum at 7am where my relatives will bring us to a famous Dim Sum stall. Sadly, I overslept so they bought back for us instead. Last dinner spread before we head back. Of course, Ipoh's Rojak is a must! No addresses or gps coordinatesfor most of the locations. How sad. Love the pictures and great post! Check out our coverage of the Top 10 Foods of Ipoh Malaysia here!